Demand from business buyers is supporting the UK PC industry after a significant slump in consumer sales, according to research. The study by IT market researcher Context says that total UK PC sales in the first quarter of 2011 fell by 7.7% compared with the same period last year. Jeremy Davies, CEO at Context, says PC sales from business users rose 17.8%. But a 27% drop in consumer sales put pressure on manufacturers with a consumer focus and could affect businesses, as was demonstrated when netbook PC sales fell by 25.6% compared with last year. 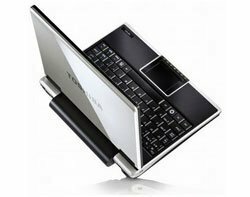 "As sales of netbooks plummeted, businesses that relied on netbooks suffered. Any manufacturers not addressing the SME and business space will suffer too," said Davies. However, Context expects a reasonable growth rate in the business PC sector in 2012, even if only by a single digit. "Throughout 2010, there was a lot of repressed demand left over from 2009 after refresh cycles were delayed. One of the biggest drivers was the financial sector as banks recovered [from the recession]. The business end [of the PC industry] is keeping things afloat," said Davies. Context says a lot more tablet devices are being bought in by businesses, with overall tablet unit sales up 910% in the quarter.